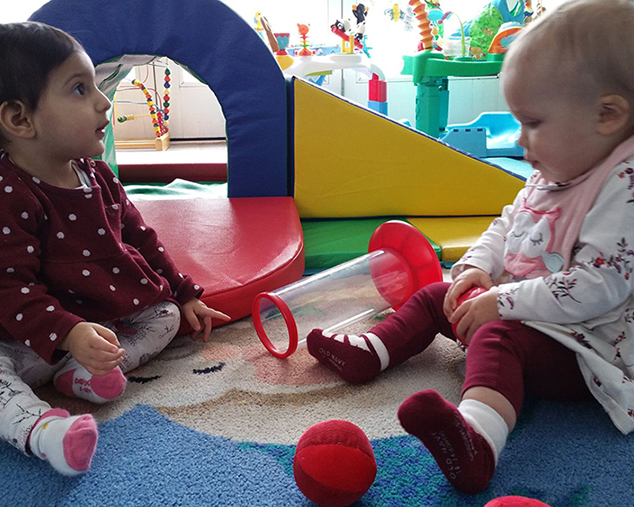 Infants and toddlers are particularly sensitive to language development, sensorial stimuli and movement, so their environment is prepared to maximize language and sensory motor experiences. Both indoor and outdoor environments are rich in language experiences. 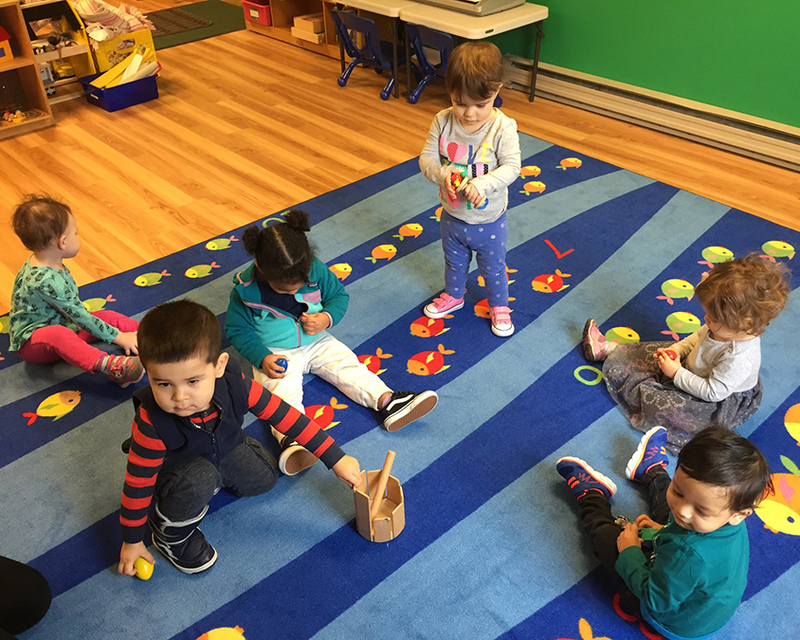 Oral language development is encouraged through songs and rhymes introduced by their teacher and our music specialist. 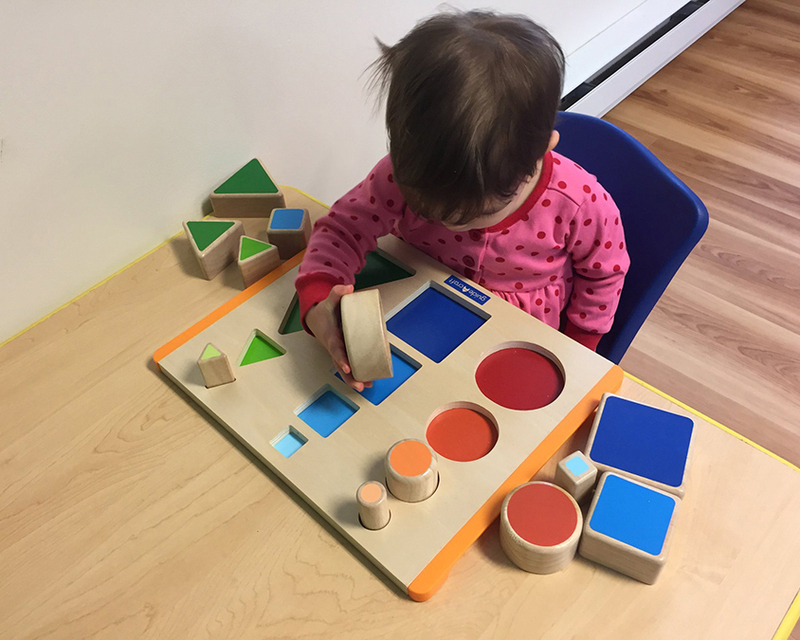 The logical-mathematical mind of toddlers is especially active, so a portion of the indoor learning environment is set aside for exploration of the beautiful Montessori sensorial and practical life materials. Children can explore these materials on their own, or be guided through them by their teacher. Little children, from the moment they are weaned, are making their way toward independence. I really enjoy coming to school each day! I try to make our classroom a home-like environment to work and play. It is extremely rewarding to watch the infat you received as a small baby, and to see each milestone they achieve. I get just as excited as the parents! Children must feel emotionally secure in order to have the confidence to learn new things. 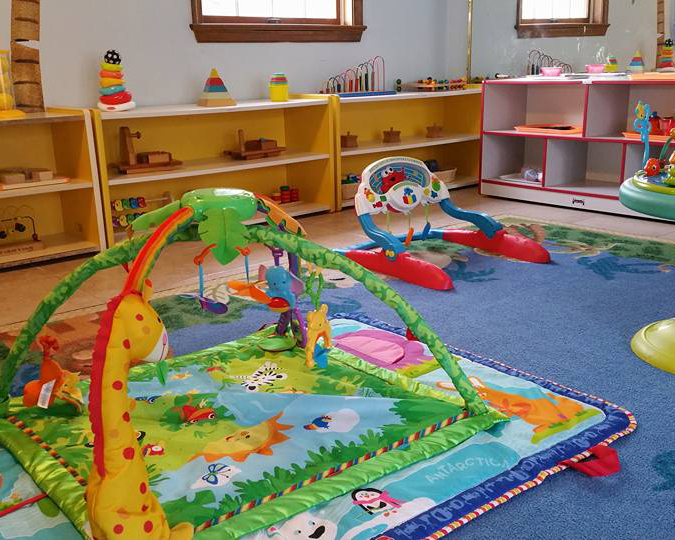 Montessori Toddler program (Green Room) is designed so children can feel like it’s another home, where they feel comfortable and safe, but also in a great learning environment full of Montessori work. 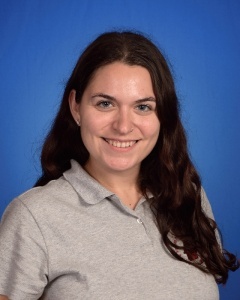 I support our students development of emotionally close, long-term relationships. 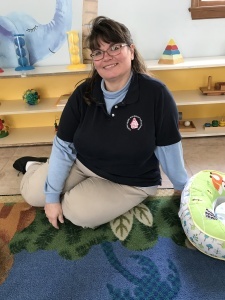 I try my best to get to know and understand each child’s unique rhythms, needs and temperament. Our teachers are highly responsive to children’s verbal and non-verbal cues, while engendering independence. Our predictable flow of the day, consistent expectations and organized classroom environment support the child’s inherent need for order.